Bleep bloop bleep, means I carry oil in this, not water. However, if you're not into drinking that, then you can use the Transformers Bumblebee B-127 22 oz. 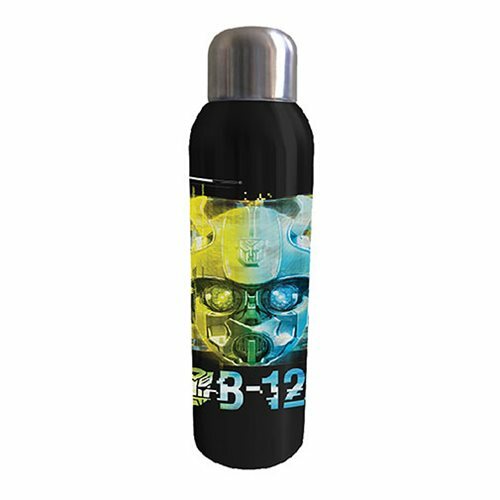 Stainless Steel Water Bottle for whatever liquid you do like. It will also keep all of your favorite beverages at the perfect temperature. Measures roughly 11-inches tall. Hand wash only. Not dishwasher safe.